I keep a pad of paper between me and my keyboard at all times. I used to take down notes, keep track of what I need to do today, small brain dumps, and random scribbles. 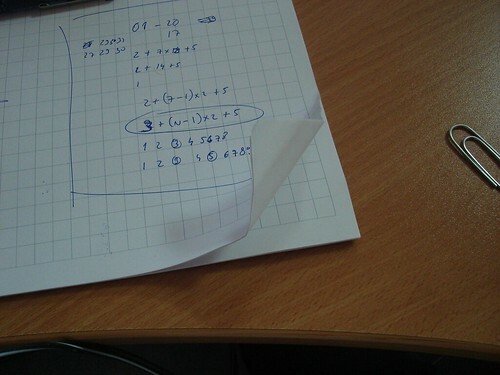 But with my hands going about their bussiness, the corner of the paper starts to bend upwards. The solution is not rocket science. 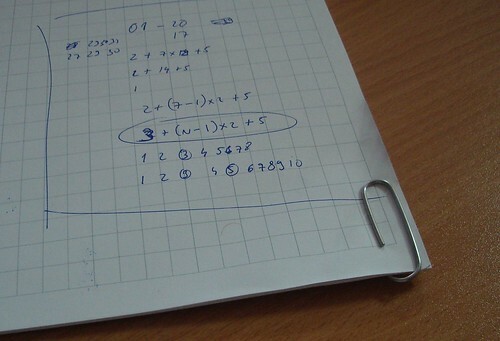 A simple paper clip.